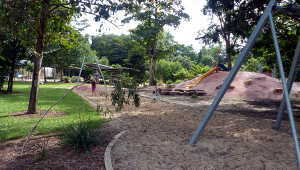 Play and Picnic at the Howard Springs Reserve. 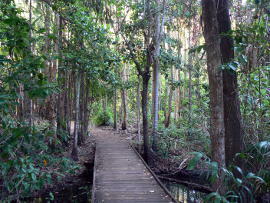 Only 35 km from Darwin this is a small freshwater spring with barramundi, turtles, wallabies and a pleasant bush walk. Newly build pools and waterfall provide safe playing for families. 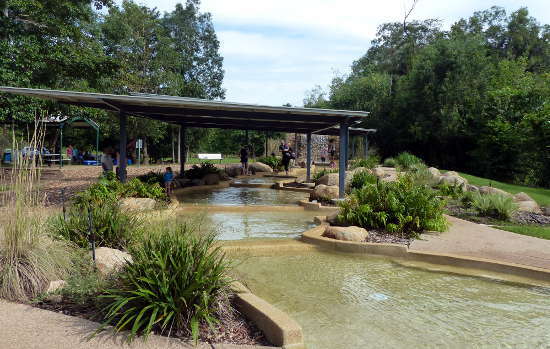 The park now includes a waterfall, cascading into a series of eight, 290 mm deep rock pools, two large flying foxes, and play areas spreading out from a huge Leichardt's tree in the middle of the picnic area as the centre point, new toilets, picnic amenities and barbecues. Swimming in the main pool at the springs is no longer allowed because of the water quality. My family used to swim here many years ago and often suffered from "Tropical Ear" afterwards, so I can understand the restriction. See here for more options for swimming around Darwin. 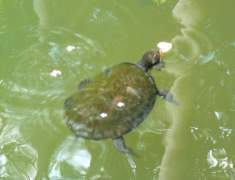 The waters are shared by several species of native fish, including giant barramundi, and two species of Turtle. 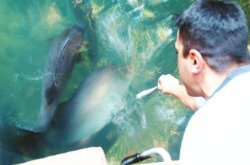 The sight of these huge 1 metre plus barramundi swimming around with the turtles hoping for a handout would make any fisherman want to head off to the fishing grounds! Information boards placed along the weir walkway describe the turtles, fish and other wildlife that are commonly found in the reserve. 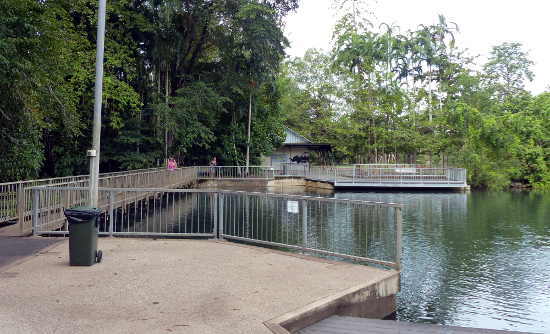 There is a 1.8 km walking track below the weir. Signs along the track explain some of the different vegetation and animals you may see. Another short track off the main road above the weir will take you through dense rainforest to the springs which feed the main pool. Across the stream into the rainforest. 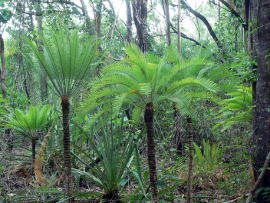 Cycads along the walking track. 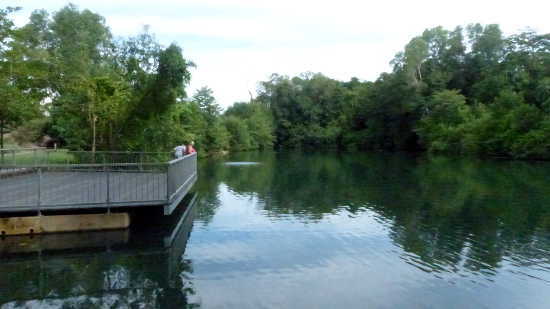 The weir for the main pool was built in 1944 by the Royal Australian Engineers to improve the swimming hole to provide a recreation area for Australian and US servicemen. 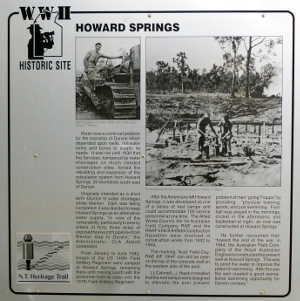 The springs also provided water for Darwin for a few years before the Manton Dam was built to provide Darwin with a reliable water supply. Water from the Springs was piped to railway dams, overhead tanks in Darwin, and Vesty's meat works. 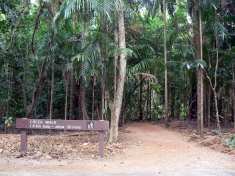 Although the reserve is close to Darwin, at the time of writing there are no regular tours or public transport available. It is about 8k's from the Stuart Highway, too far to walk comfortably. The best option if you are visiting Darwin may be to hire a car for the day. Return from Howard Springs Reserve to Enjoy Darwin Home.